Sydney Brenner was a Jewish South African biologist and co-recipient of the 2002 Nobel Prize in Medicine. Brenner was born on January 13, 1927, in Germinston, South Africa. At only the age of 15, Brenner attended the University of Witwatersrand in Johannesburg to study medicine and, in 1942, began studying Physics, Chemistry, Botany and Zoology. Brenner remained at Witwatersrand to obtain an Honors degree and then an M.Sc. In 1951, he received the degrees of MB BCh. In October 1952, Brenner arrived in Oxford to complete a Ph.D. in the Physical Chemistry Laboratory. After finishing the Ph.D., he returned to South Africa to open his own research laboratory. In 1953, he visited Cambridge, England, and saw the model of the double-helix structure of DNA constructed by Francis Crick and James Watson. In 1956, he returned to England to join the Medical Research Council Unit in Cambridge. He left Cambridge in 1976 to join the Salk Institute where he pursued an entirely new career in neuroscience. In 1977, he was appointed Director of the MRC Laboratory. In 1995, he founded The Molecular Sciences Institute with a gift from the Philip Morris Company. Brenner retired from the Institute in 2000 and, in 2001, was appointed a Distinguished Professor in the Salk Institute in La Jolla where he rejoined Francis Crick. He made seminal contributions to the emerging field of molecular biology in the 1960s, notably in the elucidation of the triplet code of protein translation through the Crick, Brenner et al. experiment of 1961, which discovered frameshift mutations. This observation provided insight into how genetic informaton regulates the death of individual cells. Brenner then turned his sights on establishing Caenorhabditis elegans as a model organism for the investigation of animal development including neural development. Brenner chose this 1 millimeter-long soil roundworm mainly because it is simple, is easy to grow in bulk populations, and turned out to be quite convenient for genetic analysis. The title of his Nobel lecture on December 2002, "Nature's Gift to Science," is an homage to this modest nematode. Brenner believed choosing the right organism to study was as important as addressing the right problem. He shared the 2002 Nobel Prize in Physiology or Medicine with H. Robert Horvitz and John Sulston. Brenner founded the Molecular Sciences Institute and is currently associated with the Salk Institute and the Institute of Molecular and Cell Biology. Known for his penetrating scientific insight and acerbic wit, Brenner for many years penned a regular column ("Loose Ends") in the journal Current Biology. The human body consists of hundreds of cell types, all originating from the fertilized egg. During the embryonic and foetal periods, the number of cells increase dramatically. The cells mature and become specialized to form the various tissues and organs of the body. Large numbers of cells are formed also in the adult body. In parallel with this generation of new cells, cell death is a normal process, both in the foetus and adult, to maintain the appropriate number of cells in the tissues. This delicate, controlled elimination of cells is called programmed cell death. This year's Nobel Laureates in Physiology or Medicine have made seminal discoveries concerning the genetic regulation of organ development and programmed cell death. By establishing and using the nematode Caenorhabditis elegans as an experimental model system, possibilities were opened to follow cell division and differentiation from the fertilized egg to the adult. The Laureates have identified key genes regulating organ development and programmed cell death and have shown that corresponding genes exist in higher species, including man. The discoveries are important for medical research and have shed new light on the pathogenesis of many diseases. 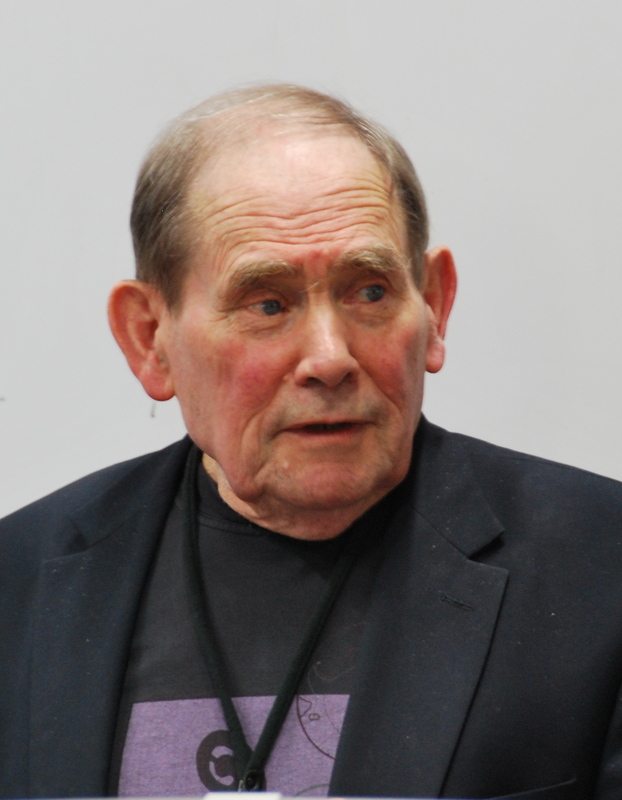 Sydney Brenner (b 1927), Berkeley, CA, USA, established C. elegans as a novel experimental model organism. This provided a unique opportunity to link genetic analysis to cell division, differentiation and organ development – and to follow these processes under the microscope. Brenner's discoveries, carried out in Cambridge, UK, laid the foundation for this year's Prize. James H. Hagerty, “Nobel Laureate Explored Mysteries of Cells, Genes,” Wall Street Journal, (April 13-14, 2019).